Introducing our newest product, the Distressed Leather Cuff. 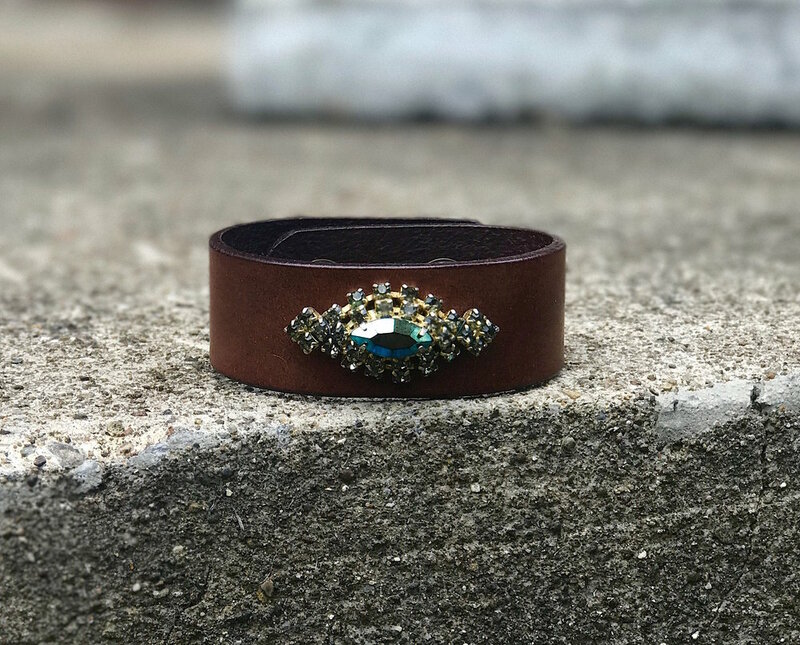 These soft 1" cuffs with a two snap closure are made from our newest color of distressed leather and adorned with one of a kind vintage pieces. No two are alike. They are delightfully unique and $125.